Visit the Port of Barcelona! In collaboration with the Port of Barcelona and its port community actors, we offer our participants a visit to the Port of Barcelona and its environment. 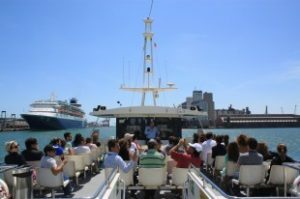 In this course you can observe the operations firsthand, the traffics, the infrastructures and the operators placed in the Port, through a boat tour with explanations and other kinds of visits. Moreover, you have the option to complement the visits with debate-lectures covering key concepts in transport, logistics and international trade. 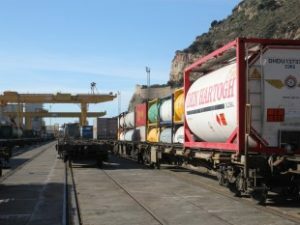 Come and discover the Port of Barcelona and its commitment to intermodality! To offer a complete view of port facilities and operations from a maritime and/or inland perspective. Between one hour and a full day, depending on the format you choose: contact us. *Price for groups of 35 people. For larger groups: contact us. 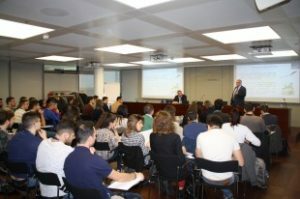 Each group can tailor its visit to the Port of Barcelona with the most suitable workshops and lectures. Students and professionals of transport, logistics and international business sectors (open to all types of profile). International references: EAE Business School, ESADE Ramon Llull University, Universitat Pompeu Fabra Barcelona, Toulouse Business School, AFTRAL, Nothern Illinois University, Cleveland State University, Bryant University, FAE Centro Universitário, etc.